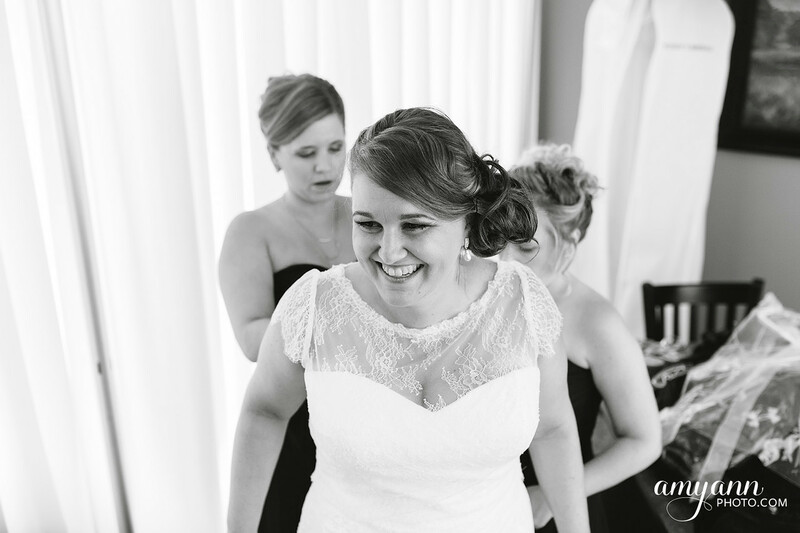 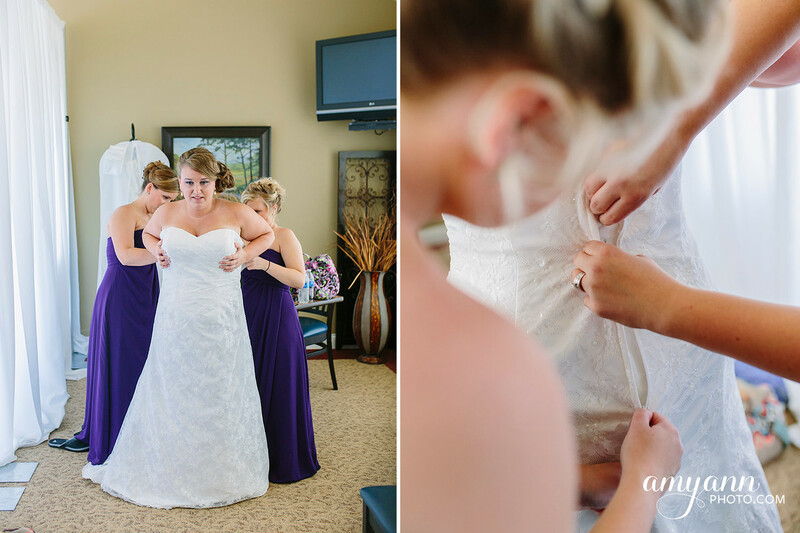 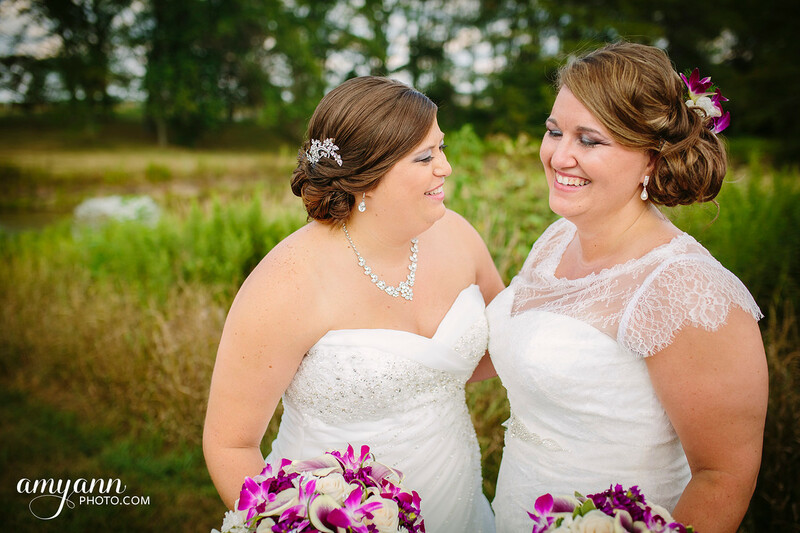 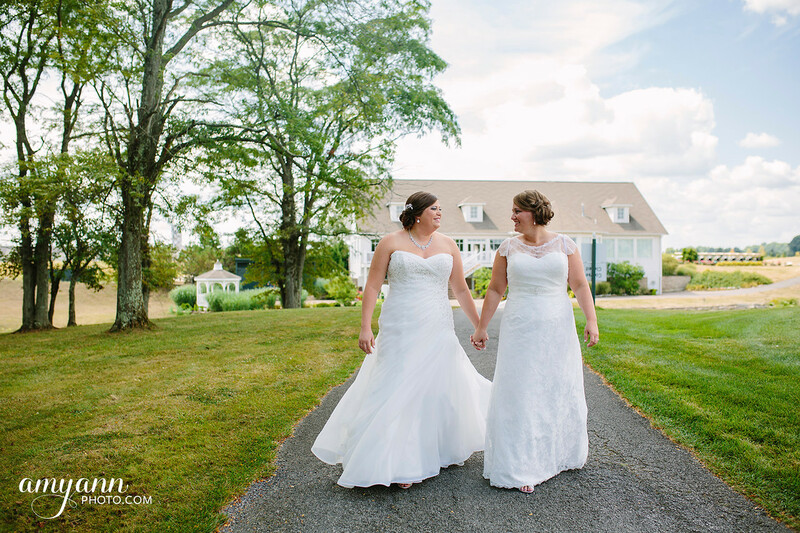 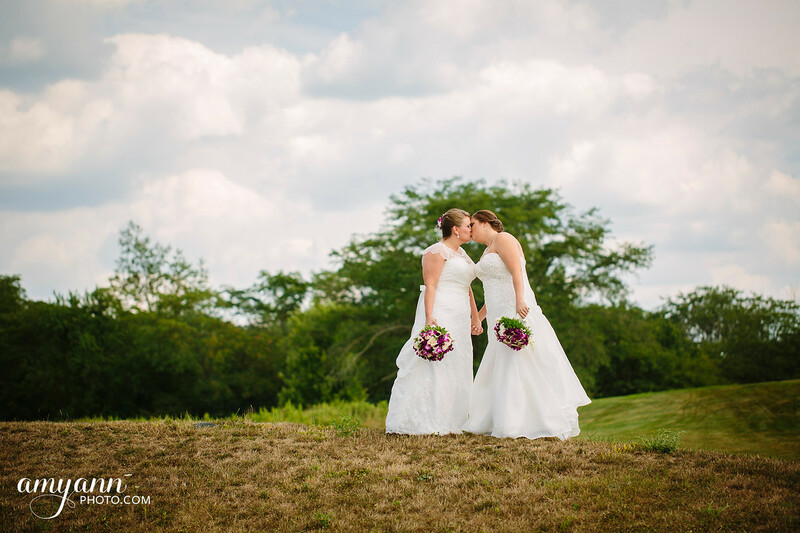 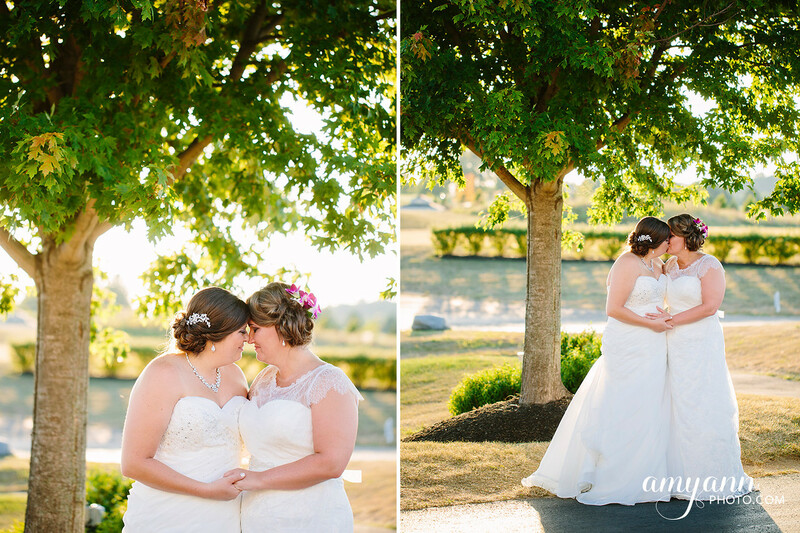 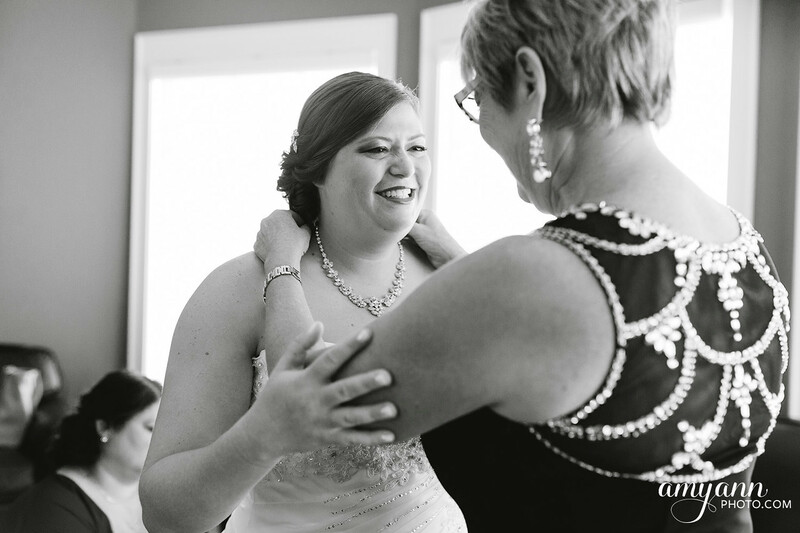 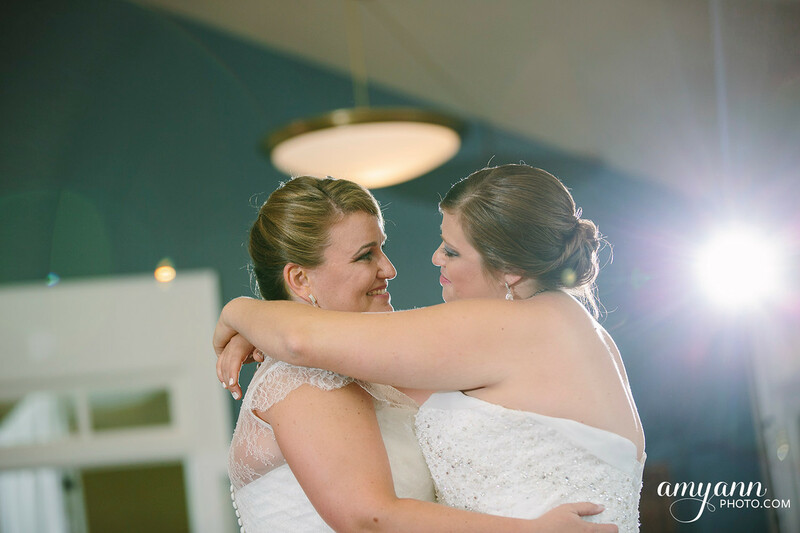 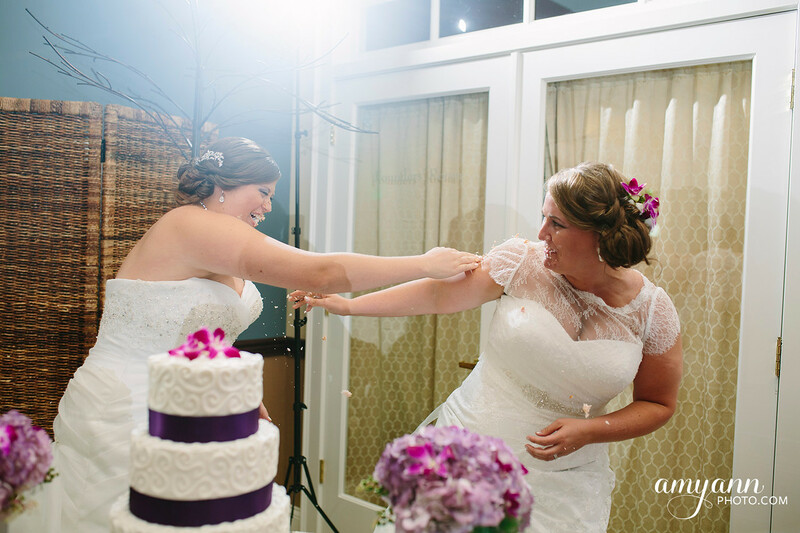 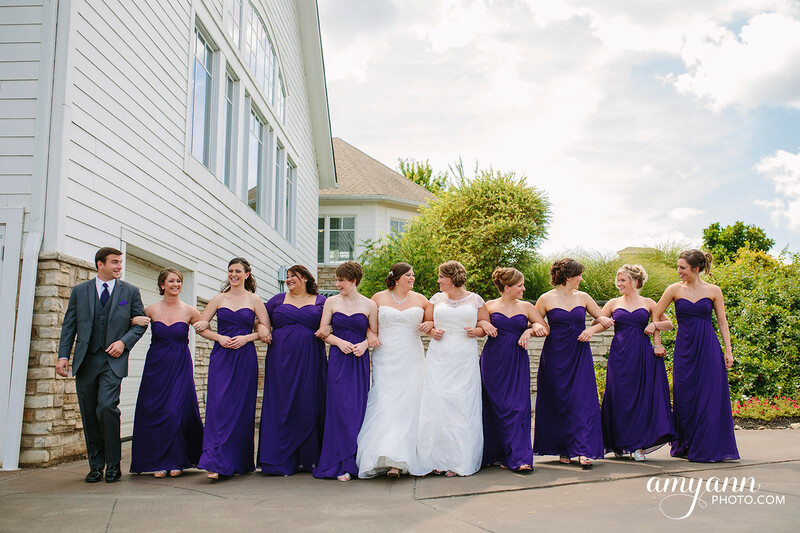 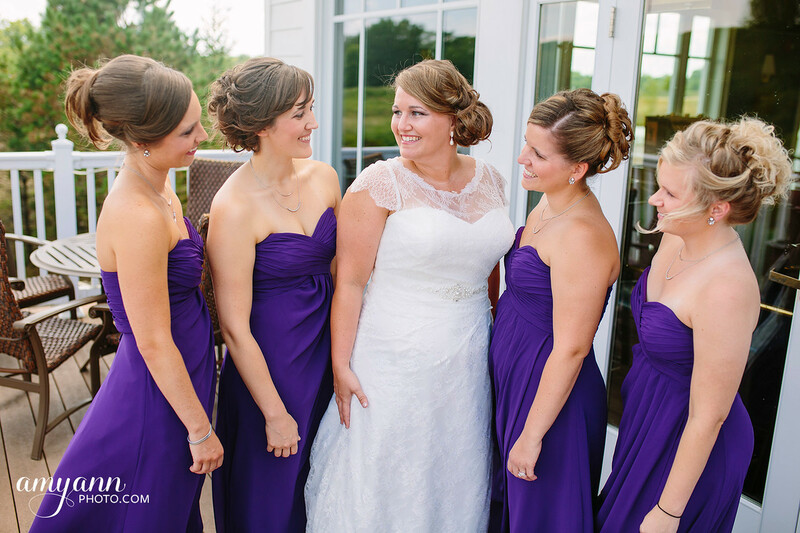 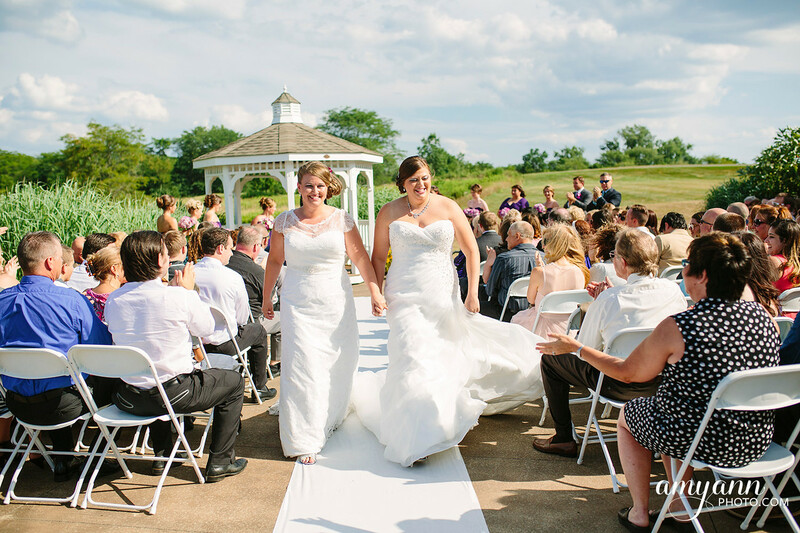 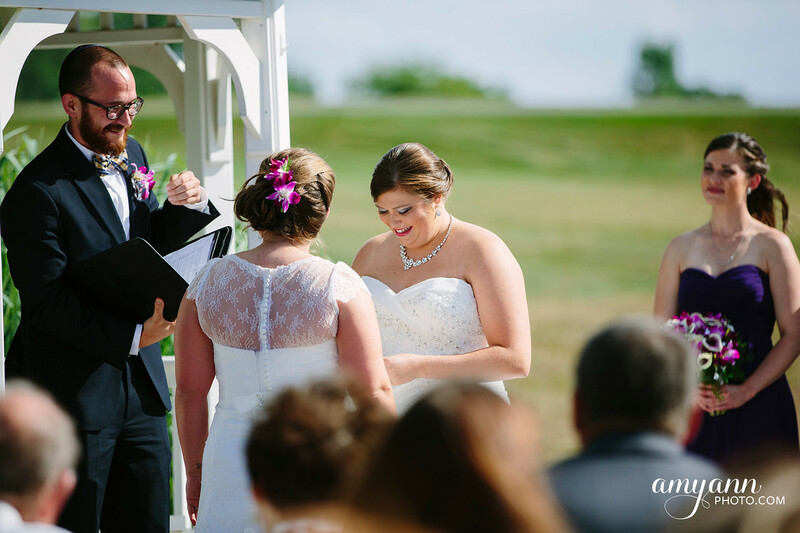 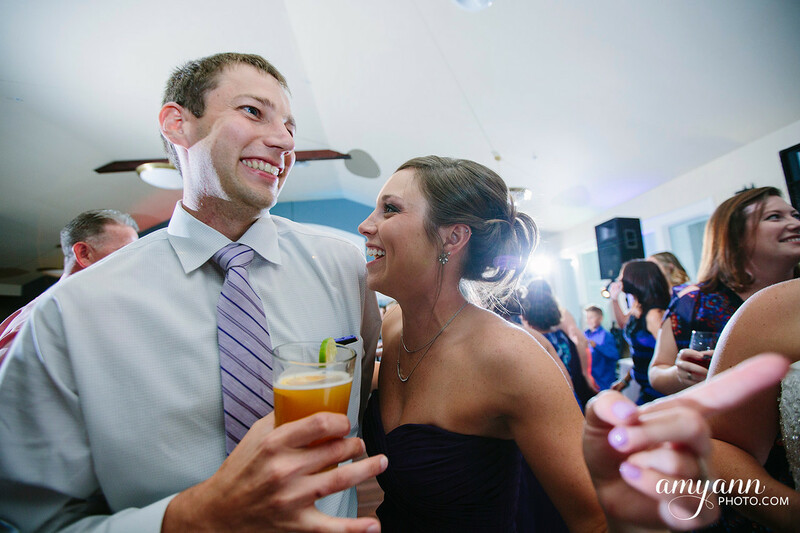 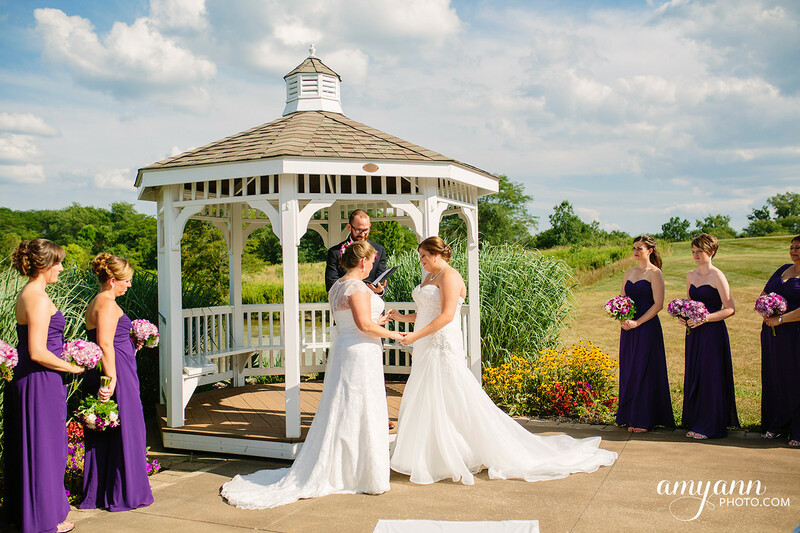 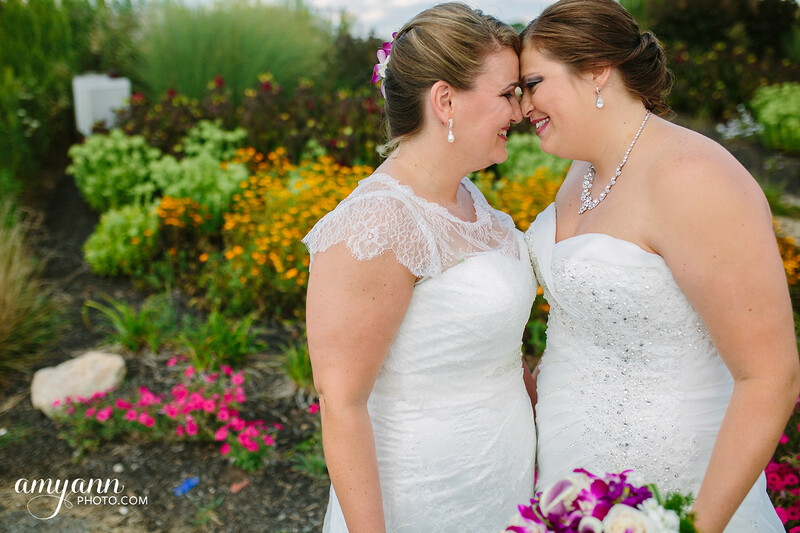 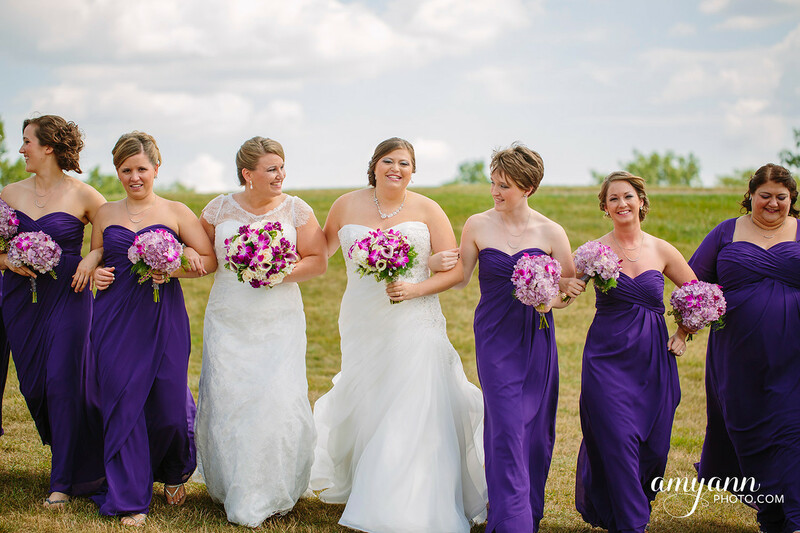 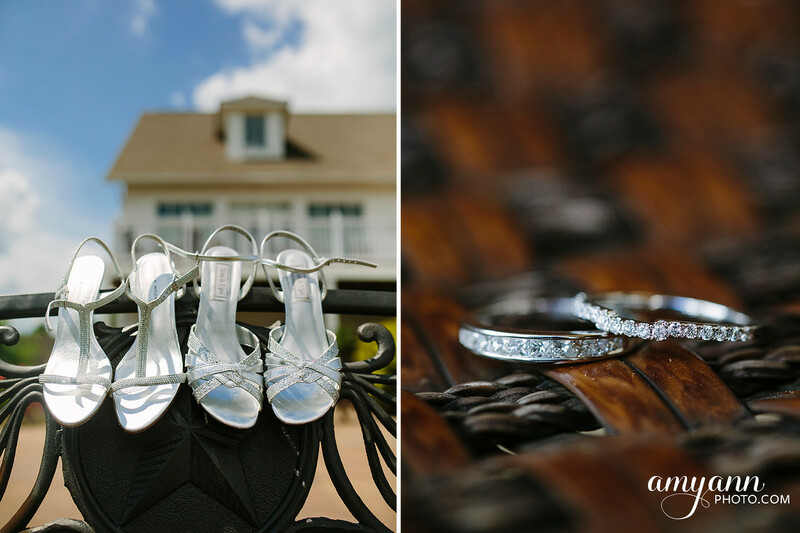 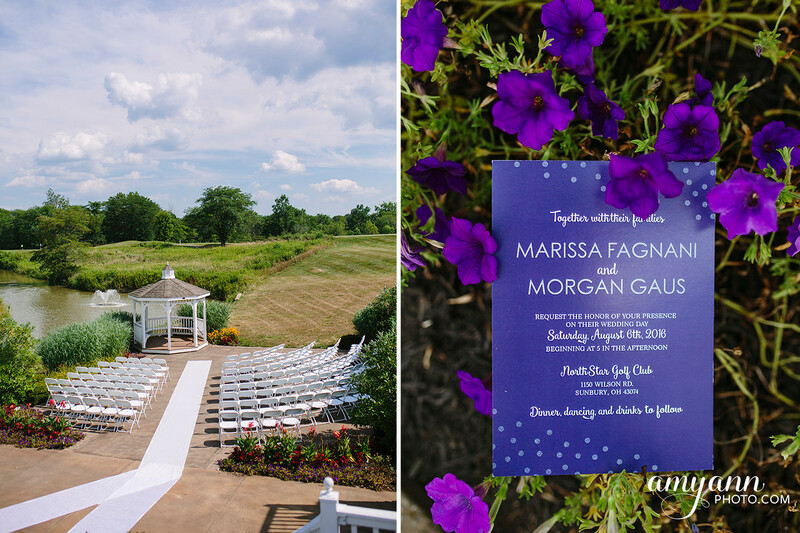 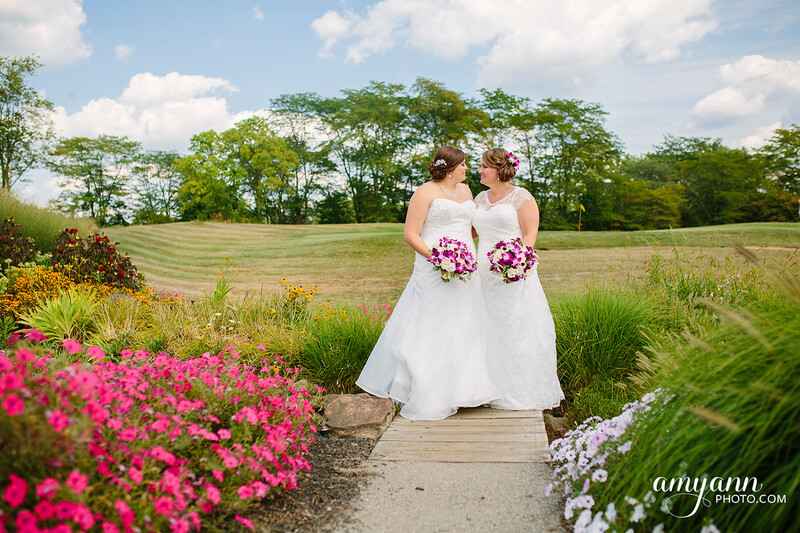 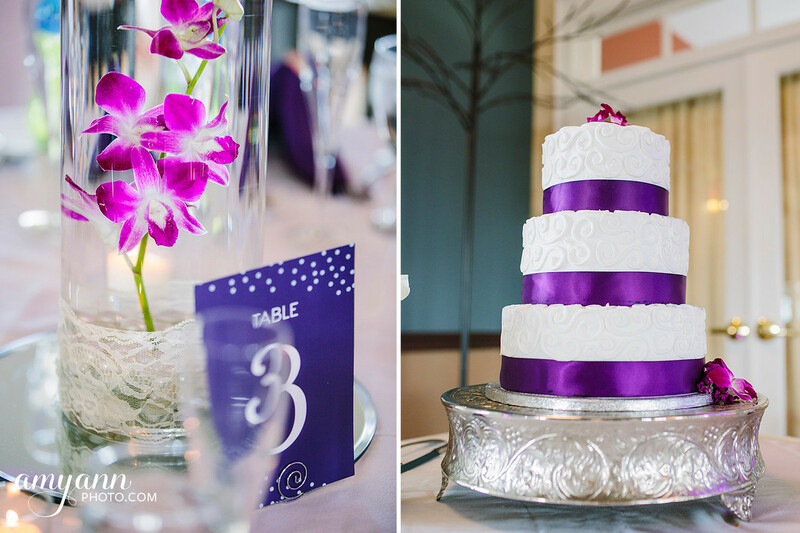 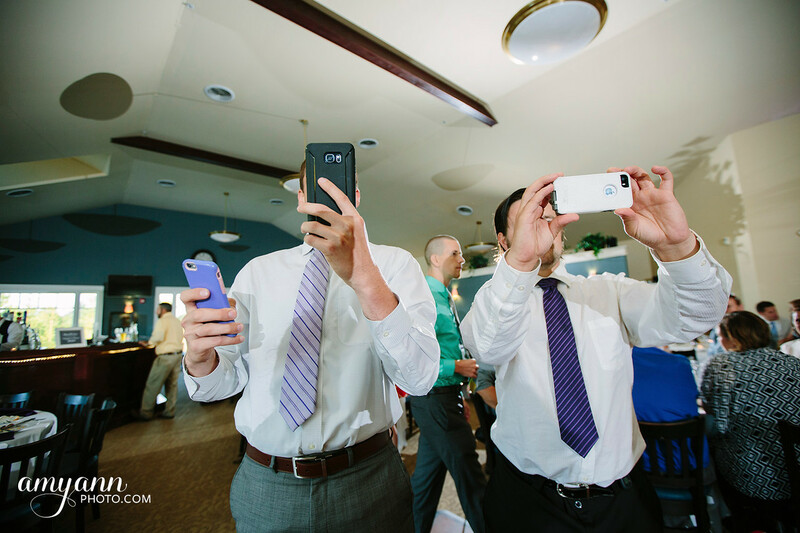 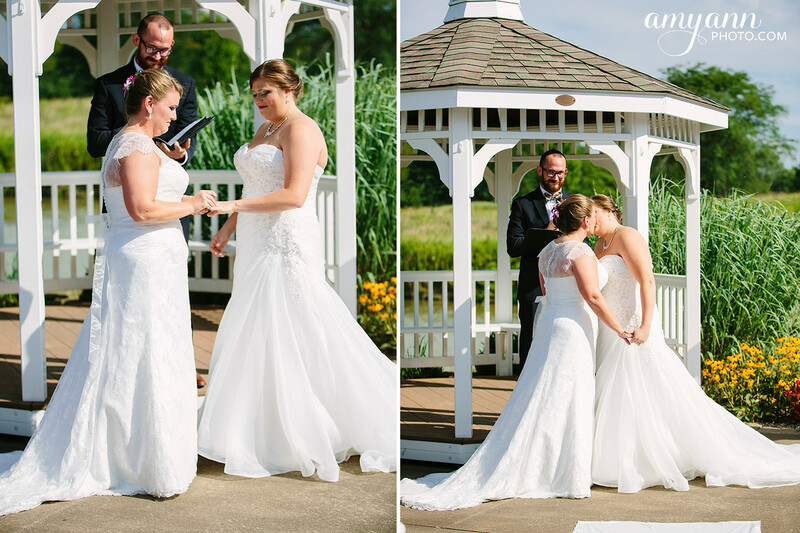 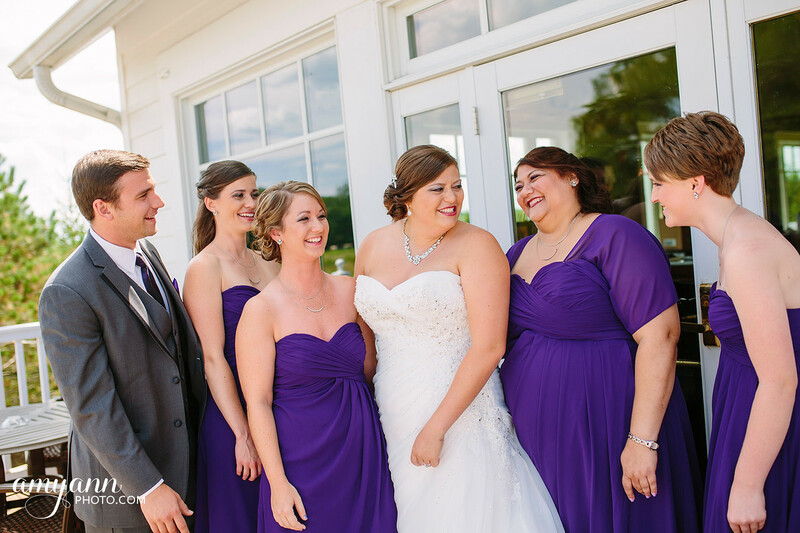 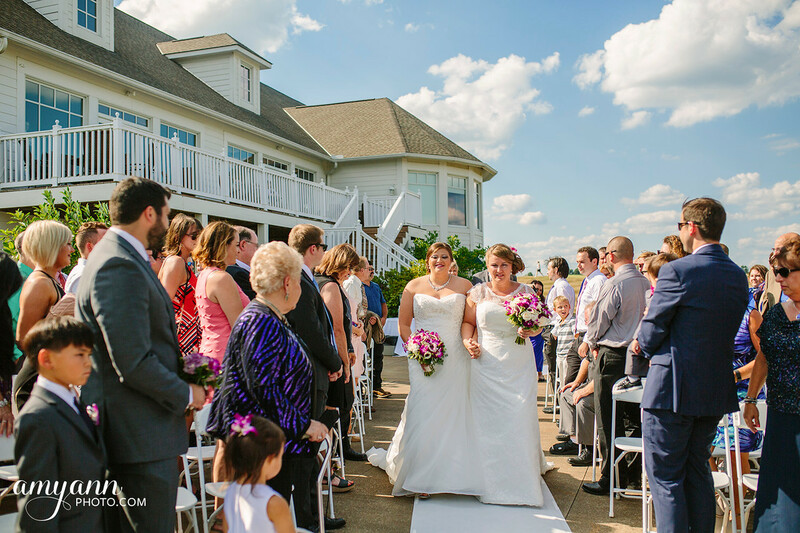 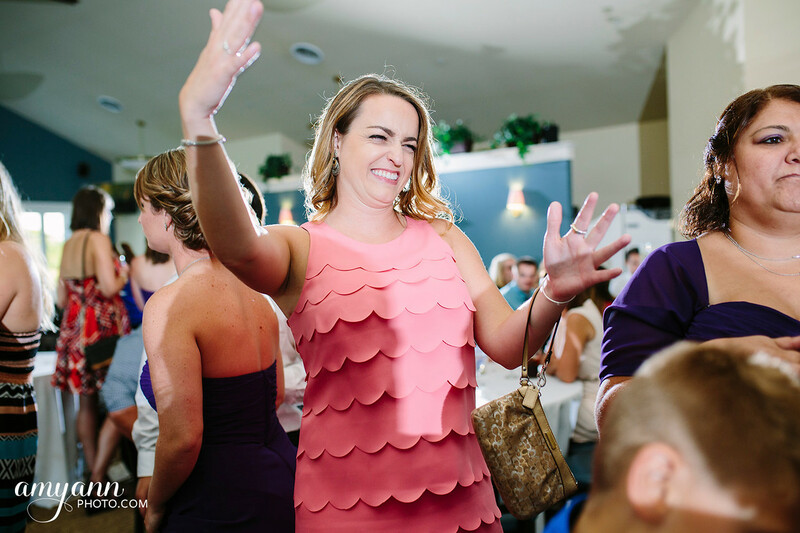 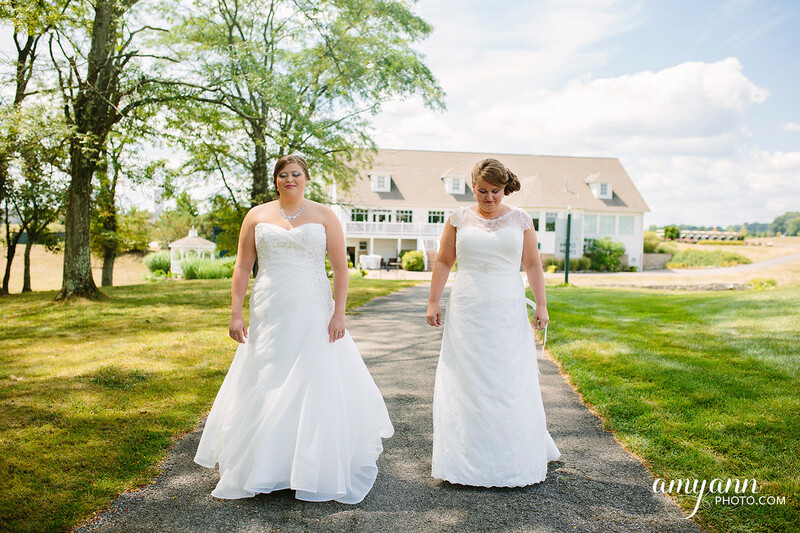 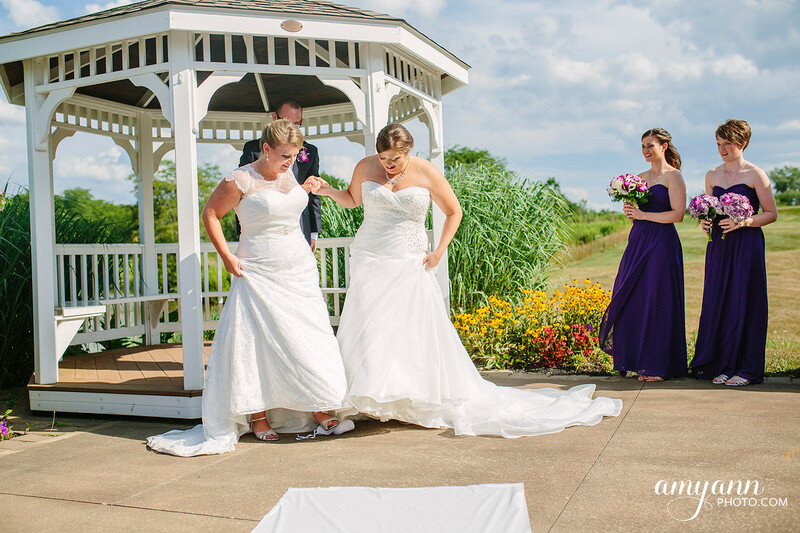 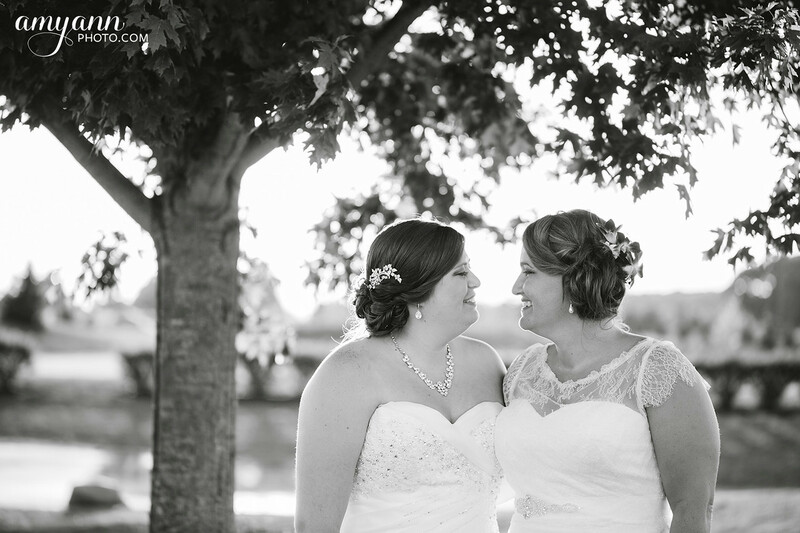 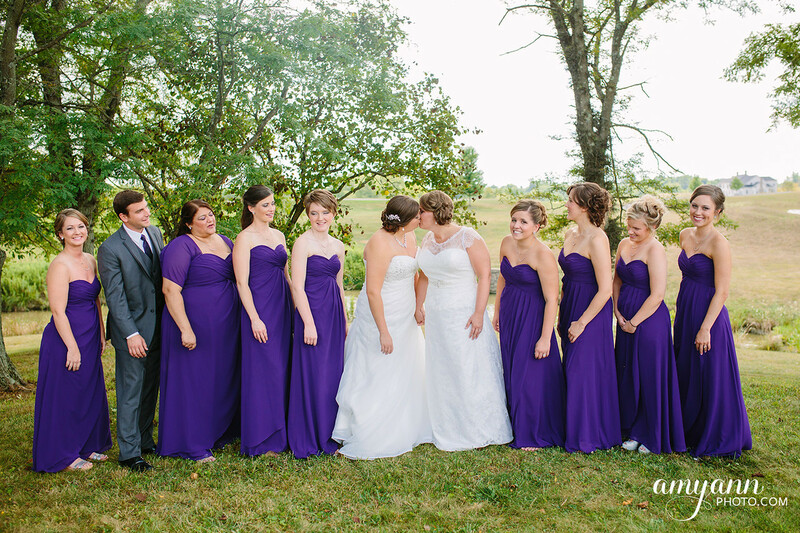 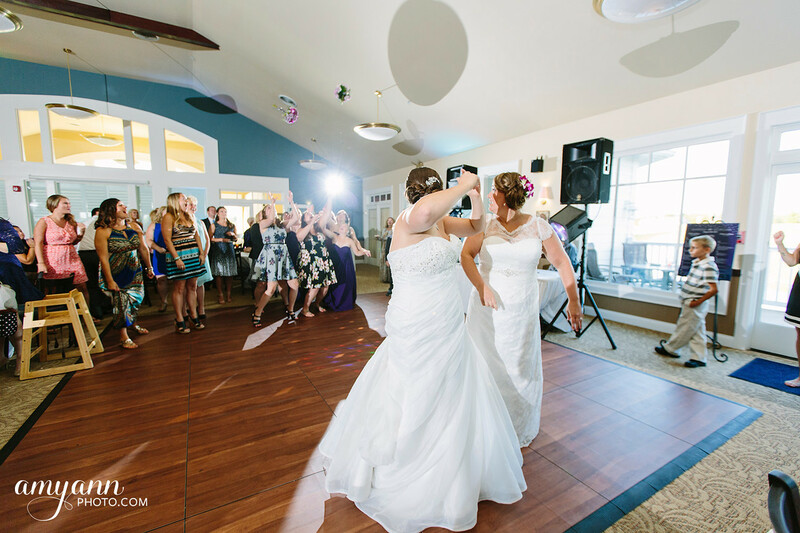 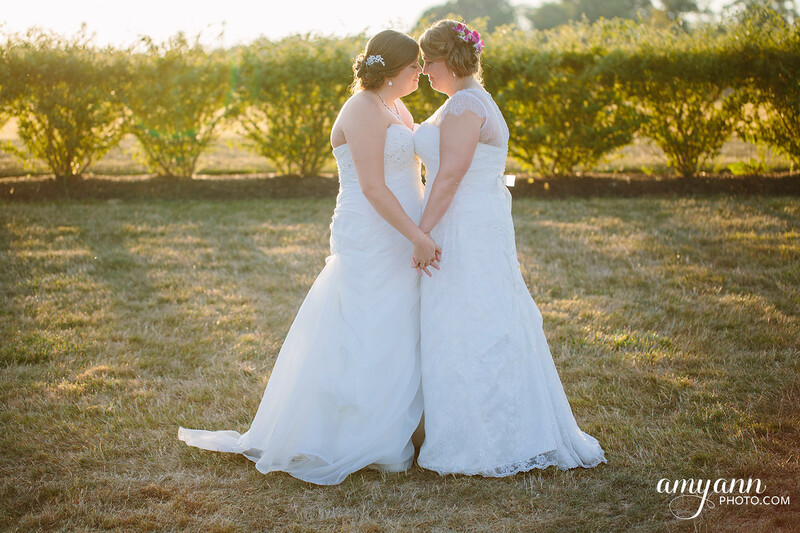 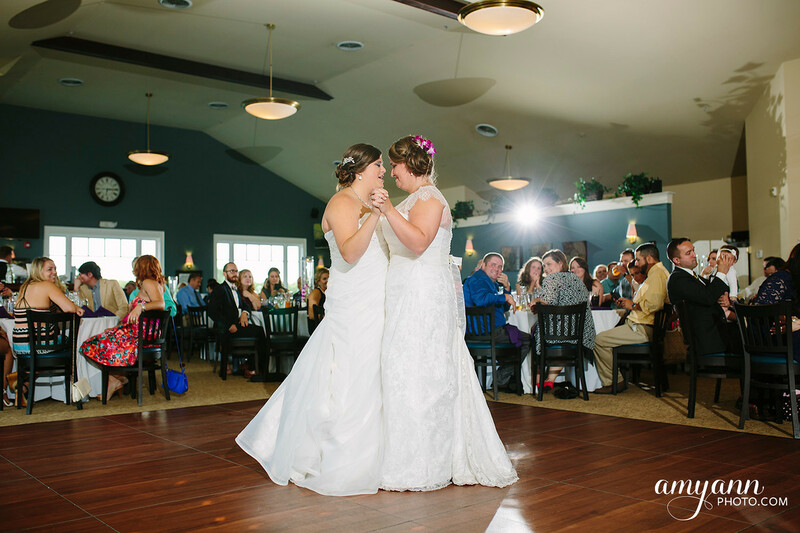 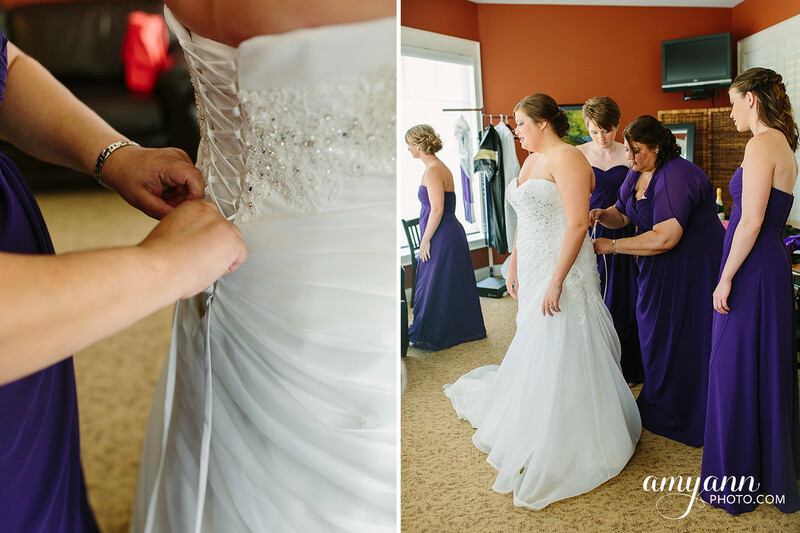 Marissa + Morgan had a perfect summer day for their wedding at Northstar Golf Club in Sunbury! 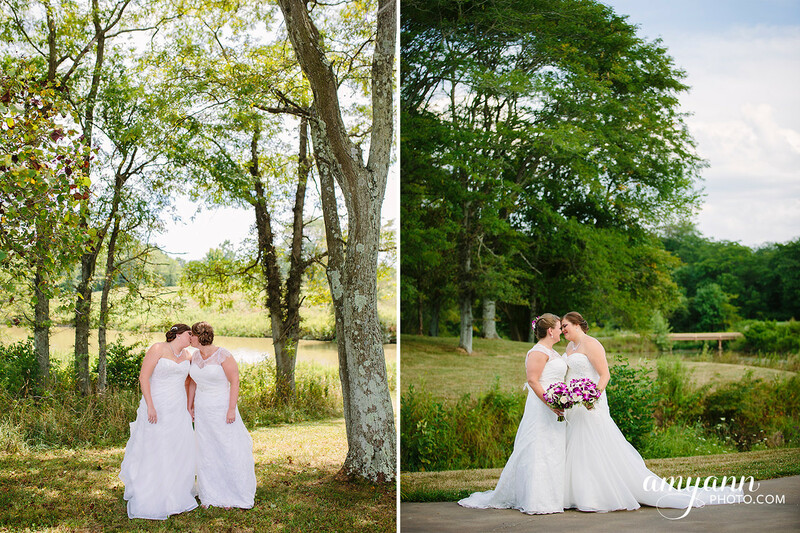 We met up on the first Saturday in August, where each bride got ready separately, but we staged a first look on the grounds so we could get their portraits out of the way before the events began. 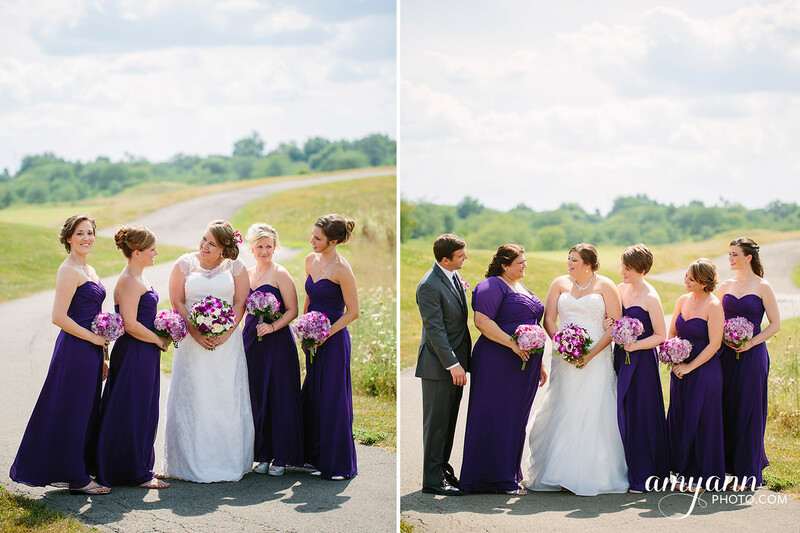 Their wedding joined us for additional wedding party portraits, before the three of us hopped on a golf cart and explored the golf course for additional portraits of the two of them. 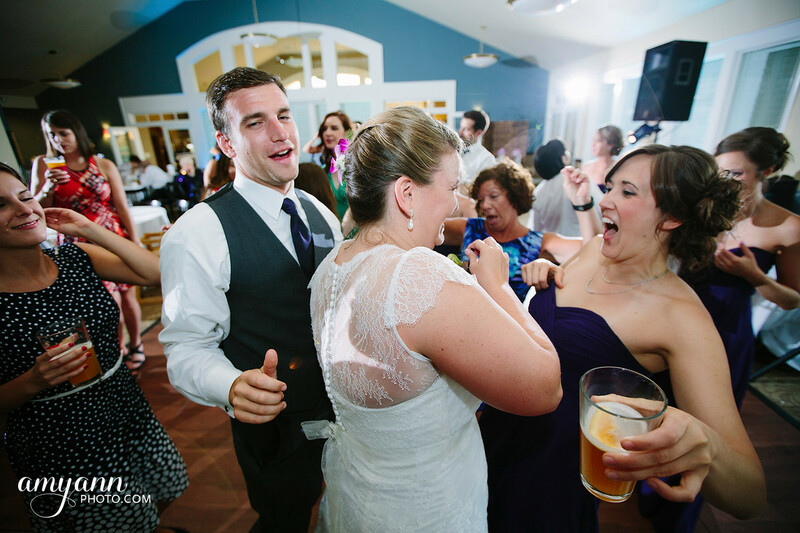 From there, the festivities began! 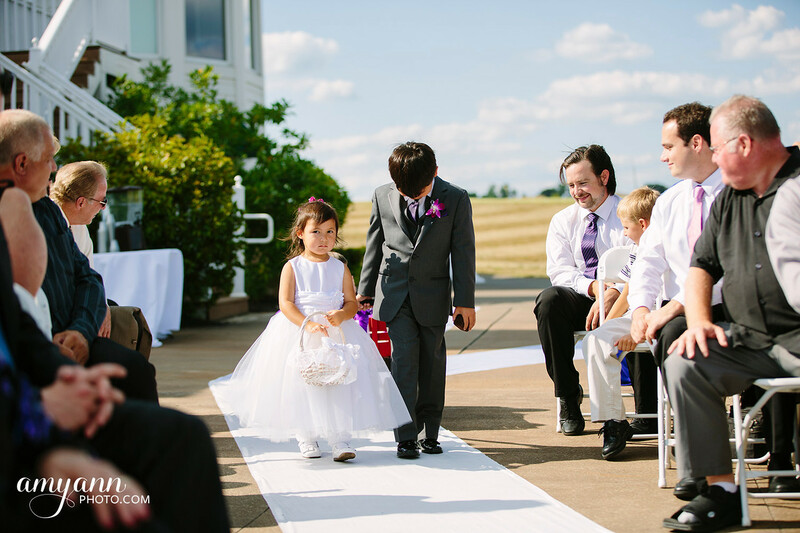 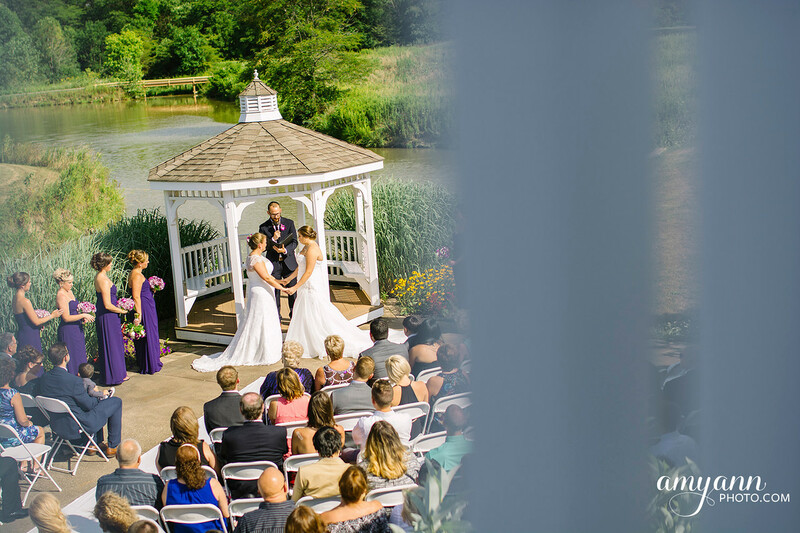 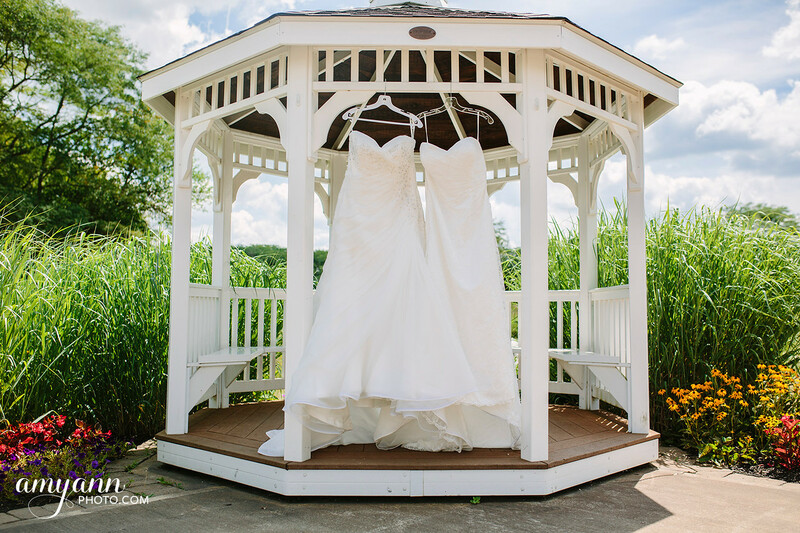 Their ceremony, held outside was picturesque in front of the gazebo overlooking the water. 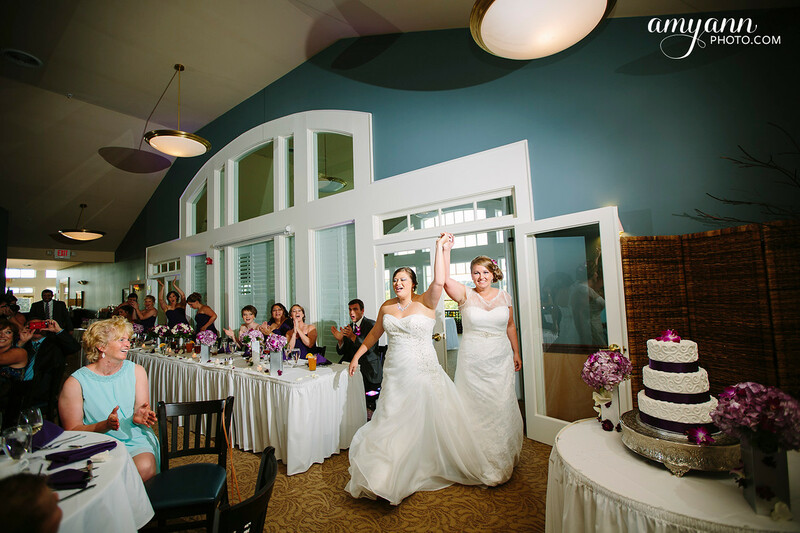 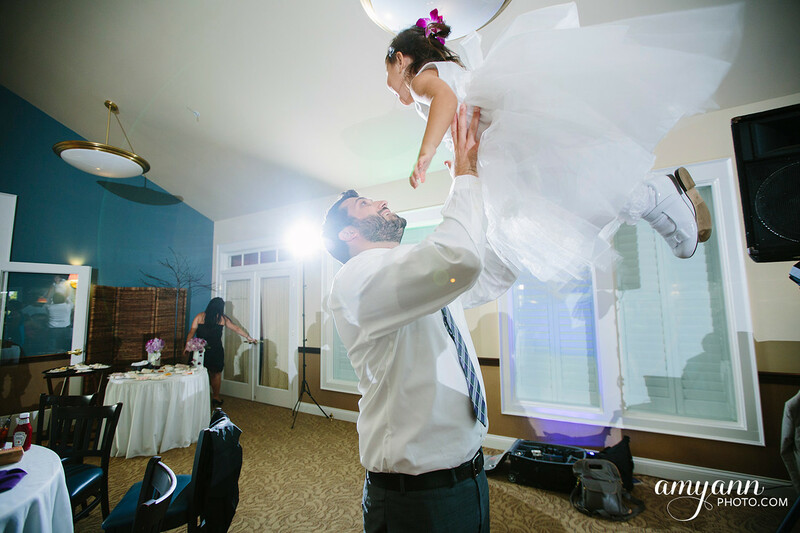 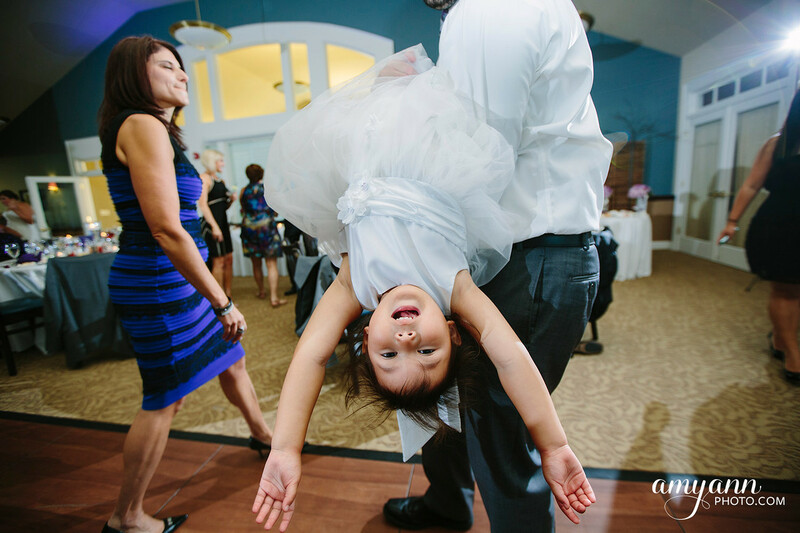 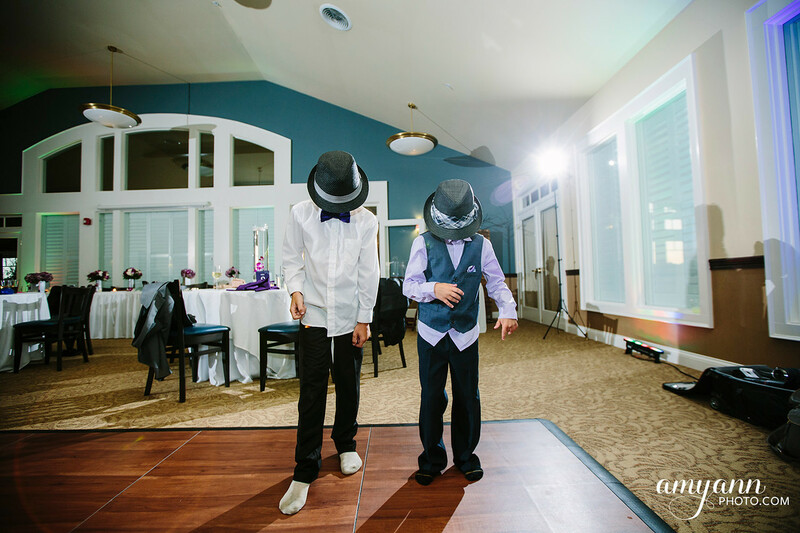 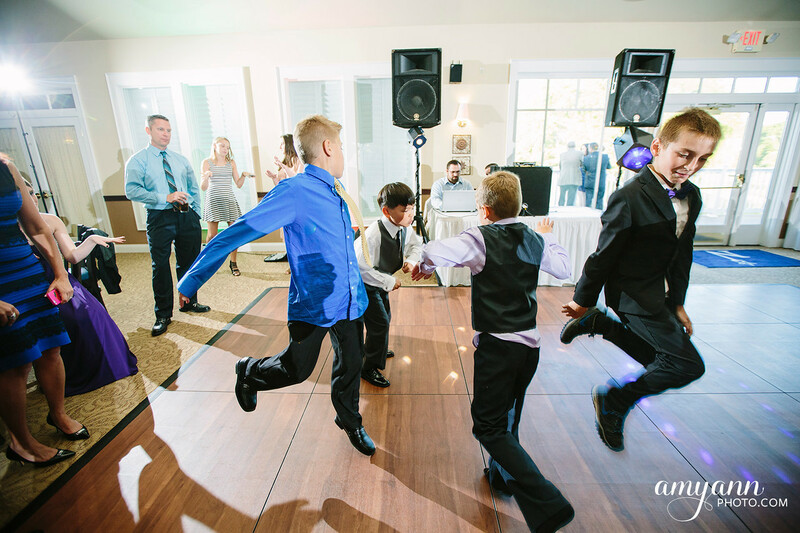 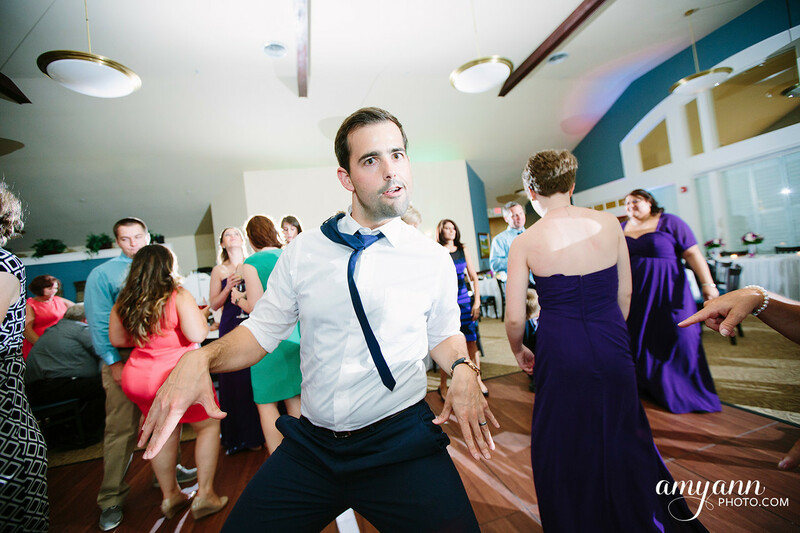 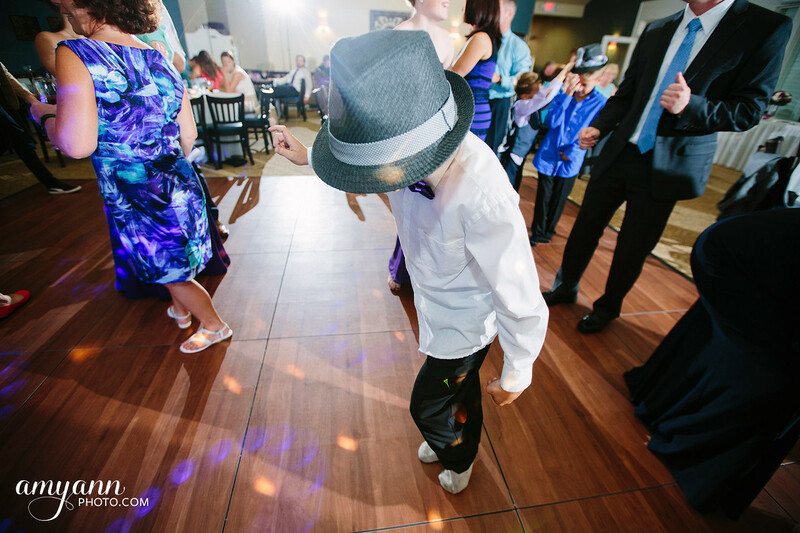 And their party continued into the evening with dinner, cake cutting, toasts, and dancing! 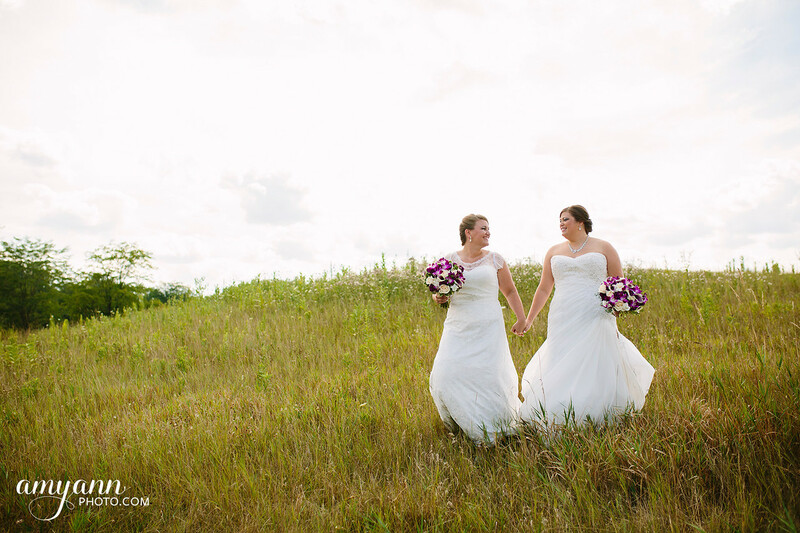 They even let me take them back outside during dinner for some portraits at sunset. 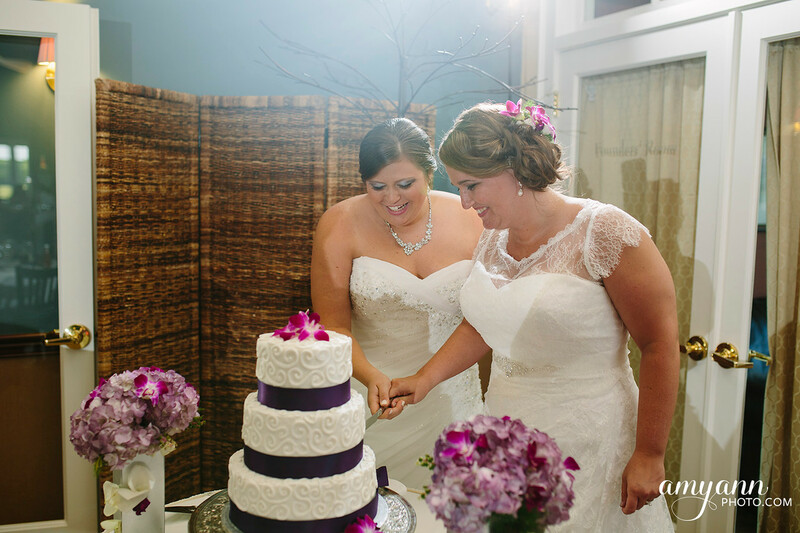 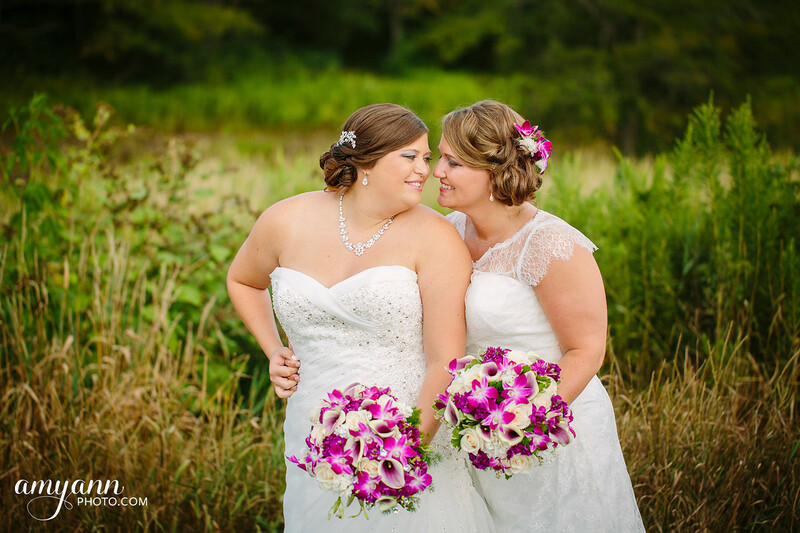 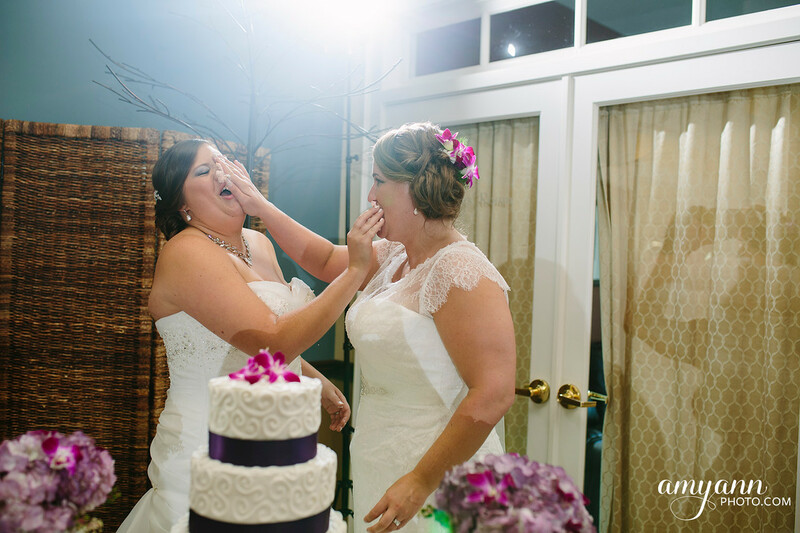 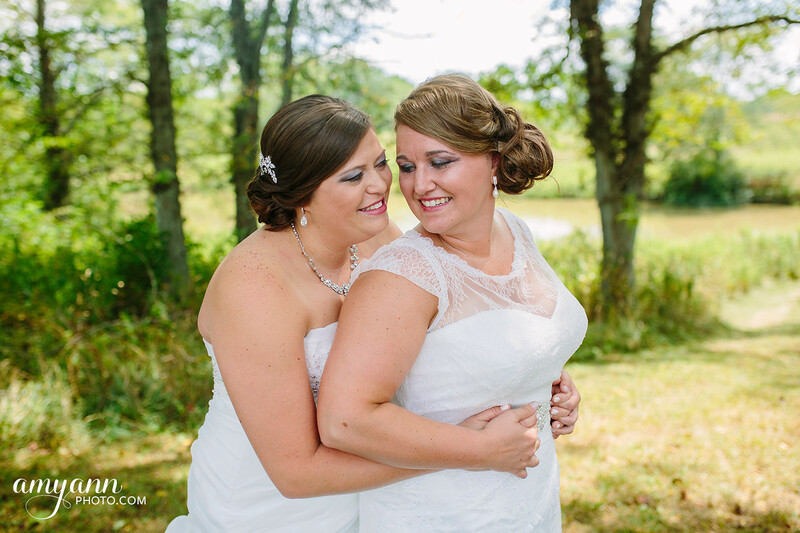 Congratulations to these two brides on their beautiful wedding day!